As he prepares for his second season as Cal’s head baseball coach, Mike Neu knows what he has and what he doesn’t have. 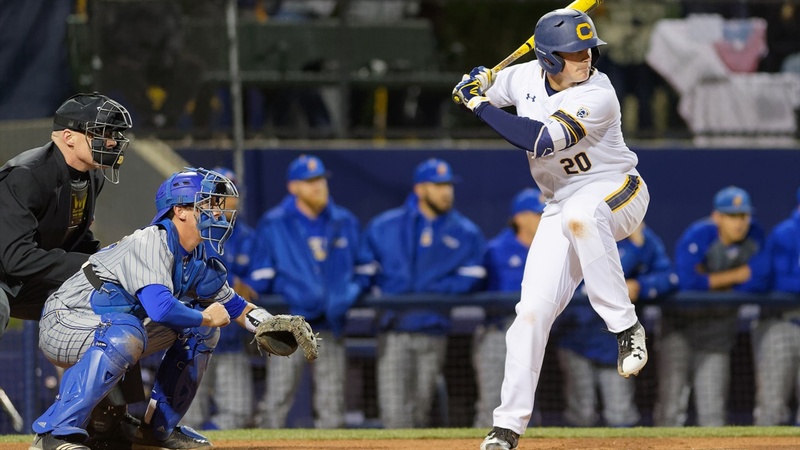 He has the premier player in college baseball, junior first baseman Andrew Vaughn, winner of the 2018 Golden Spikes Award, the sports equivalent of the Heisman Trophy. What he doesn’t have is an experienced pitching staff. Neu is thinking of the best ways to deal with that strength and that weakness. He plans to do some tinkering during the early season, and whatever plans he adopts are likely to be unconventional. Vaughn hit .402 with 23 home runs and 63 RBIs in 199 at-bats last year. Those numbers might be tough to match. “I think he will get fewer pitches to hit this year,” Neu said. “We lost three of our top four hitters (Jonah Davis, Tanner Dodson, Tyrus Green) to the draft. So we don’t have the protection around him we had last year. And he won the Golden Spikes Award last year so you’re returning a guy who is going to get walked some times. A year ago the plan was to use both Vaughn and Dodson as pitchers as well as position players. Dodson did double-duty, hitting .320 as an outfielder and pitching in 19 games, recording 11 saves to lead the team. Although Vaughn, who had pitched in ten games as a freshman, was always ready to take the mound, he made just one appearance throwing a shutout inning. How all those pitchers will be used has not been decided. What Neu is considering, especially with his abundance of freshmen, is adopting the strategy of using an “opener” which has become all the rage with some major leagues. Korey Lee, who was in 36 games as the backup last year, becomes the No. 1 catcher. Max Flower is the only outfielder with significant experience. Neu said he can play at any one of the three spots. Sophomore lettermen Sam Cachola, John Lagattuta and Connor Mack are the main contenders for playing time, although there is another intriguing option. Brandon McIlwain, the transfer from South Carolina, who for three games was the starting quarterback for the football team is in the mix. The Bears were 32-22 a year ago, 16-14 in the Pac-12, which was good for a fifth-place finish. Neu felt they deserved an NCAA Tournament bid, but did not receive one. This year with the inexperienced pitching staff, they will be hard-pressed to match that record. UCLA, Stanford and perennial power Oregon State figure to be the class of the Pac-12. But Vaughn’s bat makes the Bears worth watching.